Lisa Whelchel of "The Facts of Life" will be on "Survivor: Philippines"
=Lisa Whelchel has gotten the role of her dreams, and it is nothing like the character she portrayed on the popular 1980’s sitcom “The Facts of Life.” Whelchel, who is best-known for her role as the preppy snob with a heart of gold, Blair Warner, landed a spot on the cast of the 25th season of Survivor, according to Entertainment Weekly. Unlike her well-known 1980’s character, Lisa Whelchel was more than ready to join the cast of “Survivor: Philippines,” where we will watch as she tries to survive 39 days and nights on a remote island. Lisa Whelchel, now 49 and mother of three, moved from acting to Christian speaker/singer/author. Although she is older and more known than her cast mates, Whelchel says her experience on the island allowed her to push her limits: “Those days on the island were the hardest thing I’ve ever done in my life,” she wrote on her personal website, according to the Huffington Post. 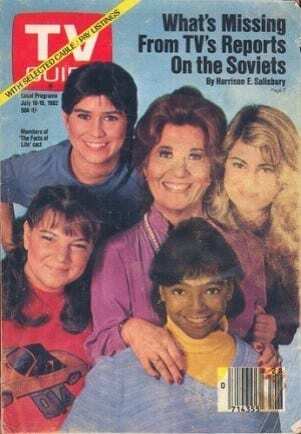 As the song goes, “You take the good, you take the bad, you take them both and there you have the facts of life.” And although her time on the show was grueling, Lisa Whelchel sees the experience for what it gave her. “I’m so very grateful for the opportunity and I’m so glad I did it but I think it’s like childbirth…I may need to put a few years behind me and some perspective in front of me before I would ever consider doing it again,” she said. Also cast in “Survivor: Philippines,” which airs Sept. 19 on CBS, is former baseball National League Most Valuable Player Jeff Kent and two former pageant winners.